Born: Date not known, Breslau (now Wroclaw), Poland. Max Francke served an apprenticeship in the coal and zinc mines of Upper Selesia and subsequently studied for three and a half years at the Universities of Breslau and Berlin, and the Mining Academy at Berlin. He qualified as "Bergassessor" (mining inspector) at the University of Berlin and obtained extensive mining experience in Germany. In 1895 the government of the South African Republic (Transvaal) offered him an appointment as mining inspector, which he accepted. After arriving in 1896 he worked in Johannesburg and Pretoria during the next few years and when required served as acting state mining engineer. He wrote three contributions to the annual reports of the state mining engineer, which were published together with the annual reports of the head of the Mines Department. The first was an extract from a report by him (in Dutch) on the possibilities and problems of deep level mining on the Witwatersrand (1896). The second, "Uittreksel uit het rapport over de Malmani goud velden", was an extract from his report on the Malmani gold-fields (1897). The third was his "Rapport van den mijninspecteur... over den Mijnbouw in het Pretoria-inspectieveld" (Report of the Inspector of Mines...on mining in the Pretoria inspection area, 1898). 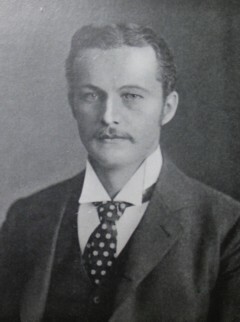 In 1900, during the Anglo-Boer War (1899-1902), Francke became joint manager of A. Goertz & Co. in Johannesburg and began to play a prominent part in Rand affairs. He became a director of many companies, including several gold mining companies. As an authority on gold law matters he was appointed as a member of the Gold Law Commission and of the Mining Industry Commission by the British government of the Transvaal Colony. By 1910 he had left South Africa for London and Berlin. However, he was a director of Consolidated Mines until he was forced to resign at the start of World War I (1914-1918). Francke joined the South African Association for the Advancement of Science soon after its formation in 1902, served on the committee for Section C in 1903/4, and was still a member in 1910. He became a member of the British Association for the Advancement of Science in 1905 and had also joined the Geological Society of South Africa by 1906. Anglo-African who's who and biographical sketch book (Ed. W.H. Wills). London: Upcott, 1910. British Association for the Advancement of Science. Report of the sevety-fifth meeting...South Africa, 1905, list of members. Francke, Max. Einzeleinwanderer / Individual immigrants. http://www.safrika.org/Names/EinzelEinw_en.html Retrieved 6 December 2016. National Automated Archival Information Retrieval System (NAAIRS). http://www.national.archives.gov.za/naairs.htm Documents relating to Francke, Max. South African Association for the Advancement of Science. Report, 1904, 1905/6, 1910: Lists of members and office bearers.